In North Texas, the principal and most damaging extreme weather events for the foreseeable future will continue to be tornadoes. Weather scientists predict these random events will become more severe. Flooding events, particularly flash floods have become more common in recent years, due to greater intensity of rainfall coupled with the rapid increase of impermeable surface runoff directly related to extensive development and construction activity. Climate modeling forecasts the average annual rainfall totals in Texas will remain ‘near normal’ but there will be increasing spikes between drought and deluge. Numerous data trends project rising average air temperatures – so even hotter summers to come. As drought conditions become more frequent, the accompanying risk of wildfire increases, and soon, like other western states, we may have to adapt to a wildfire ‘season’. Most architects care deeply about the people who occupy the structures they design. 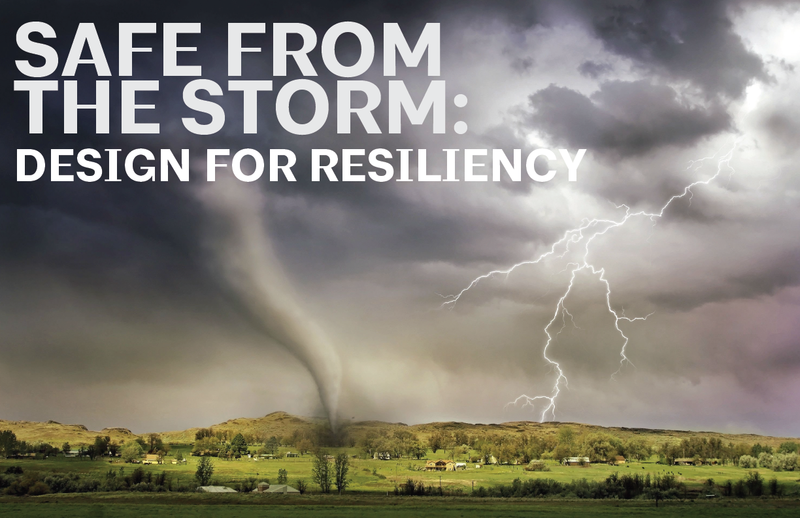 What can an architect do to provide safety and resiliency in the wake of a natural disaster? Before and after the storm. Join four of the AIA Dallas committees, Codes & Standards, COTE, Disaster Action and Historic Resources, as they discuss what architects can do to keep people and their buildings safe when disaster strikes, potential additions to building codes in response to disaster, and whether architects will be held to a new standard of care as the frequency of disasters increases.